Finally, after a delay Vhedza's album has finally dropped. Shoutout to Mr. Cee for hooking me up with a copy. This is an album that is best served chilled. None of the trap-type of instrumentals can be found here. This is a laid-back project that you really need to pay attention to to fully enjoy. Thematically, the album is built around the concept of spiritual resurgence and consciousness. Hence the album subtitle refers to "Return from Sinai". The album discusses issues like ambition, spirituality and Vhedza's own personal journey to self-actualization as a young African man facing challenges in the contemporary world. It is in reality, a form of sonic diary. Sonically, the album is meant to be a demonstration of our broad cultural exposure as cosmopolitan Africans who are part of the global village today. Hence the samples and lyrical references on the album pull from a wide variety of sources e.g. classic films, Rock music, Afrobeat etc, all of which have meaning and transcend one particular culture or part of the world. All in all, the album is simply an honest reflection of the internal battles within Vhedza's psyche and the expression of this internal strife through a versatile sonic backdrop that captures both the scale and sincerity of the subject matter. This album is the 2nd in a Trilogy, the first being Trained to Reign, the last of which will be called "Gates of Canaan" in keeping with the theme of a journey towards self-actualisation, the land of Canaan being the metaphoric endpoint of the journey as the land of milk and honey. 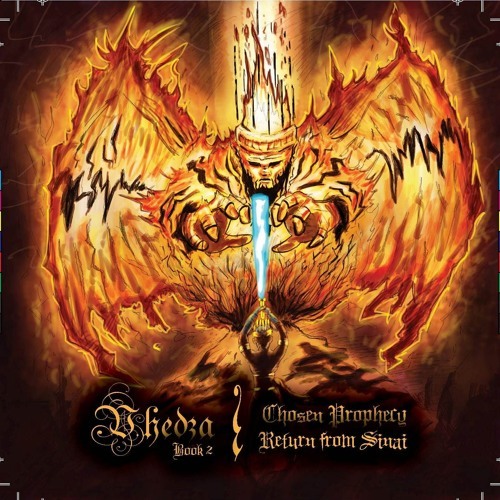 This is the place Vhedza is trying to get to, and the struggles along the journey to Canaan are what the albums are about, and the latest album is the entry of another Chapter in the diary Vhedza has kept along the road to Canaan.